Can US-China trade truce lead to a bigger grand bargain? 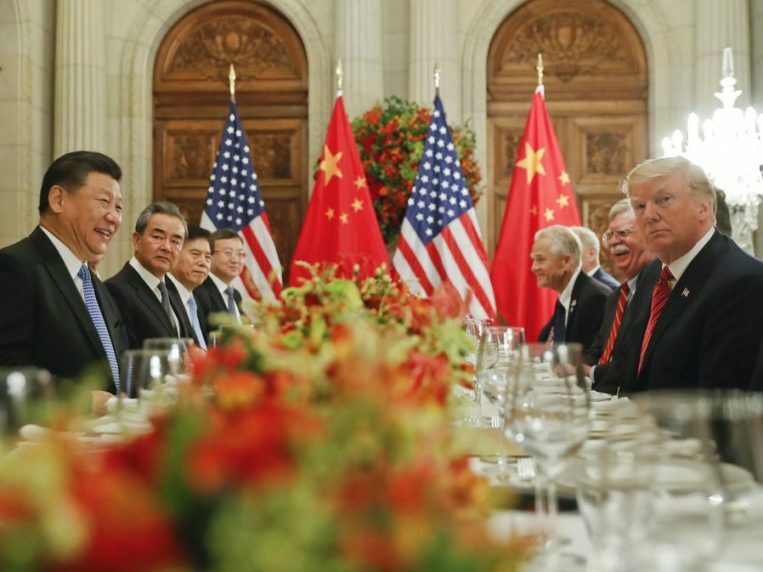 US President Donald Trump on Sunday lauded “the incredible (trade) deal…one of the largest ever made” with Xi Jinping at the G20 in Argentina. Yet questions remain about whether the agreement will be no more than a temporary truce, or the beginnings of the bigger US-China grand bargain that Trump wants. Given the massive stakes in play, both sides stepping back from the precipice of further sanctions in January is a welcome development. The trade tensions have the potential to severely disrupt what is probably the world’s most important bilateral economic and political relationship, which could still lead to a full-blown US-China trade war. In practice, what Trump has agreed to is holding off for 90 days the planned increase from 10 percent to 25 percent in US tariffs on some $200 billion-worth of Chinese goods. In exchange, Xi offered a pledge to “purchase a not yet agreed upon, but very substantial” amount of US goods. Yet, despite Trump’s optimism about future relations, it is by no means certain that the trade and wider relationship is now on a less conflictual path going into 2019. US Vice President Mike Pence gave a very hard-hitting speech against China in October, and Trump signed legislation over the summer requiring the US commerce secretary to deliver a “Report on Chinese Investment” in the US to Congress and the Committee on Foreign Investment in the US every two years up to 2026. This underlines that bilateral ties overall remain mixed, and it is unclear how much personal chemistry Trump and Xi have in practice, despite the praise that the former often gives the latter. This is relevant as, while economic and security fundamentals will largely determine the course of ties in the coming years, personal warmth between the two leaders could also be key. During the Obama presidency, the fact that bilateral relations remained generally cordial reflected, in significant part, the personal commitment of Barack Obama and Xi to stability. Both recognized the critical priority of the relationship. Meanwhile, Xi outlined his desire to fundamentally develop a new type of relationship with the US to avoid the conflictual great power patterns of the past. This is an audacious goal and it is not certain how long the pledge will remain in place if Trump returns to his previous bellicosity toward Beijing. For, while Trump is very often warm in his rhetoric toward Xi, including in recent days, he and others in his administration genuinely believe China is a major threat to the US. This is not only true on the economic front, but also the security domain too. Outside of North Korea, where Beijing and Washington cooperated to positive effect during some of 2018, a string of security issues still cloud the bilateral agenda, including the South China Sea. This topic frequently brings frustrations for both sides. During the Obama presidency, the fact that bilateral relations remained generally cordial reflected, in significant part, the personal commitment of Barack Obama and Xi to stability. And it is this narrative that Trump may yet return to in 2019, if not before, if he judges it in his political and economic interests with his 2020 re-election campaign fast approaching. As well as his concerns about US trade deficits and purported US job losses that come from this, he has repeatedly called Beijing “grand champions of currency manipulation,” asserting the country is keeping its exchange rate artificially low in order to secure export advantages. On the face of it, therefore, it appears to be much too soon to dismiss the prospect that tensions between Beijing and Washington will definitely subside in 2019. Yet, such is the mercurial nature of Trump, it remains genuinely unclear when he might potentially seek to up the ante again. Ultimately, as he moves into the second half of his term of office, he needs to show his US political base a range of concessions from China on these issues to seek to fulfill his “America First” agenda. Here he has previously asserted that “everything is under negotiation,” and what he ideally favors — building on the recent diplomacy with Xi over North Korea — is a wider grand bargain with Beijing extending beyond the economics arena, where one of his key asks is to see the Chinese currency floated, to other security issues too. If such a deal can be pulled off, it would potentially provide for greater overall stability in the world economy and limit damage to the currently creaking international trade system, which risks being undermined further by a major US-China spat. An agreement of this kind could also have a broader positive effect on international relations, helping underpin a renewed basis for bilateral relations into the 2020s.